Al Arrayed Logistics | You Can Count On Us! Transport of raw materials for one of our customers for both export and import services. Pipes loading and offloading to and from the trailer. Offloaded pipes are the stacked properly in a particular fashion along with stoppers. We provide with Forklifts of 3 ton, 5 ton and 10 ton. 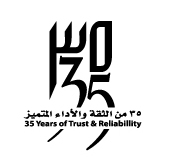 Al Arrayed Logistics is one of the pioneering heavy land transport companies in Bahrain, with more than 30 years of experience and dedication. It is introducing itself to the world with a new identity to combine history and knowledge that delivers reliability, integrity, flexibility and commitment to our customers and that treats customers as partners in its success, keeping in mind the customer’s best interest with every business decision we make. How do you rate our overall service? Good. How professional/courteous was our staff? Good. Would you recommend/refer Al Arrayed Logistics? Yes. General Comments: Your service is good, keep it up. How do you rate our overall service? Good. How professional/courteous was our staff? Excellent. Would you recommend/refer Al Arrayed Logistics? Yes. How can we improve? Excellent services and still can improve. General Comments: Timely manner response to our enquiry is on highly appreciated. How do you rate our overall service? Good. How professional/courteous was our staff? Good. Would you recommend/refer Al Arrayed Logistics? Yes. General Comments: We found your service satisfactory. How do you rate our overall service? Satisfactory. How professional/courteous was our staff? Satisfactory. Would you recommend/refer Al Arrayed Logistics? Yes. How do you rate our overall service? Good. How professional/courteous was our staff? Good. Would you recommend/refer Al Arrayed Logistics? Yes. How do you rate our overall service? Good. How professional/courteous was our staff? Good. Would you recommend/refer Al Arrayed Logistics? Yes. General Comments: Reduce lead time, by prompt service. Our Logistics Services can also work to improve service on shipments from your vendors, and can reduce materials and stock shortages caused by late deliveries to your plants and distribution centers. Al Arrayed Logistics is setup to provide impeccable and reliable service to our clients in the fastest possible time. While other transportation logistics solutions companies make promises. The key factors of our sustained growth are our commitment towards: Customers, Compliance requirements, Process and more.